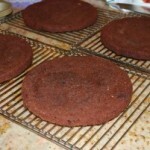 I can’t even remember when the first time I made this cake was. The recipe came from an old Bon Appetite issue, maybe 15 years ago or more. I have made it successfully almost every year since then. The light as air hazelnut cake with no real flour or conventional leavening is a perfect foil to the non dairy chocolate mousse. 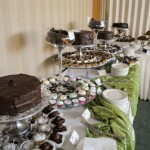 The cake is so beautiful and tasty; it is a light but fancy finish to a large heavy meal. I have modified the recipe a bit by making the cake flavored with orange zest and orange extract. 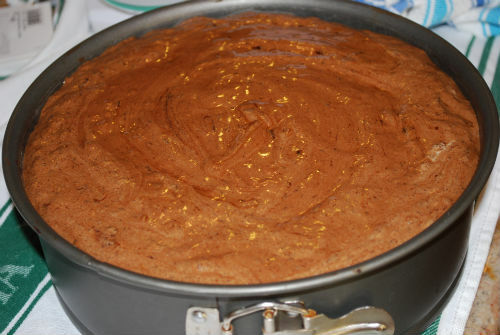 Nobody in my family likes cake with brandy, which was the original flavoring for the cake. Some years, I have made it ahead of time and frozen it with success. It needs to be kept refrigerated and is very perishable, because of the raw eggs. Preheat oven to 400º. Grease a 9 inch spring form pan and dust with matzo cake meal. Combine the dry ingredients and zest in a bowl. 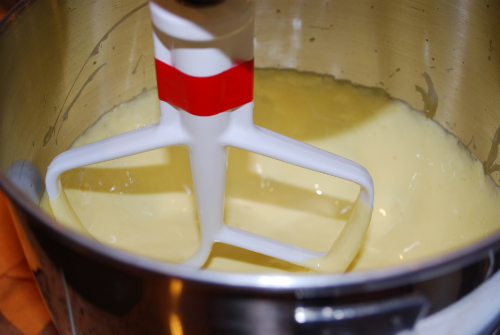 In the bowl of your mixer, beat the yolks with 1/2 cup sugar until they form ribbons and are very light in color. Blend in the extract. 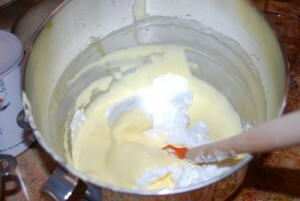 In a separate, clean, bowl, whisk the egg whites with a tiny pinch of salt until soft peaks form. Gradually add 1/3 cup of sugar and whisk the egg whites until stiff but not dry. 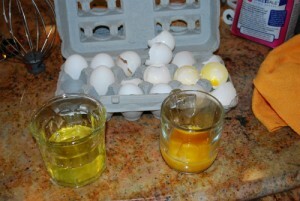 Fold 1/3 of the whites into the yolks to lighten them and make it easier to fold in the rest. Fold this yolk mixture back into the remaining egg whites. 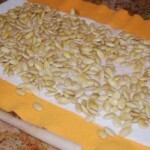 Sprinkle with the hazelnuts. 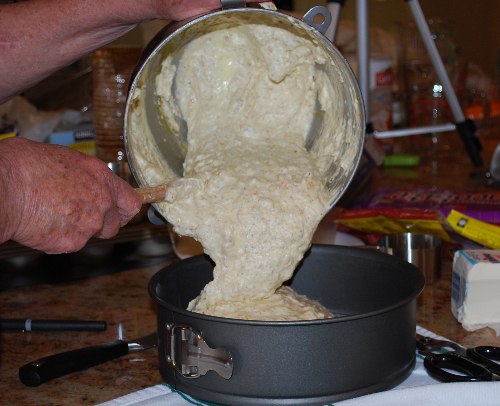 Fold it all together gently, taking care to preserve the air bubbles in the egg whites. 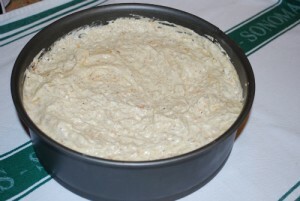 Turn the batter into the prepared springform pan and bake for 20 minutes. Cool on a rack. 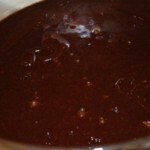 Melt the chocolate in a bowl over a sauce pan of simmering water and then remove it and let it cool in the bowl. Beat the yolks into the chocolate one at a time. The chocolate will become stiffer. Beat the egg whites with a pinch of salt until soft peaks form and then, gradually add the sugar while beating until stiff. Gently fold the whites into the chocolate. 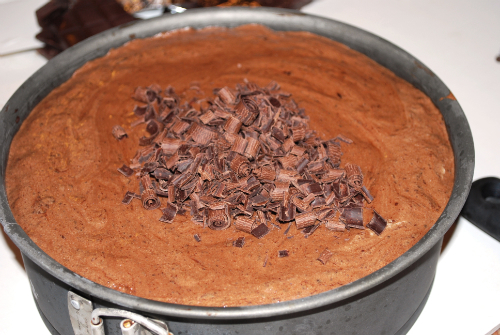 While the cake is still in the springform pan spread the mousse on top of the cold cake. The cake will have sunk a little making room for the mousse. 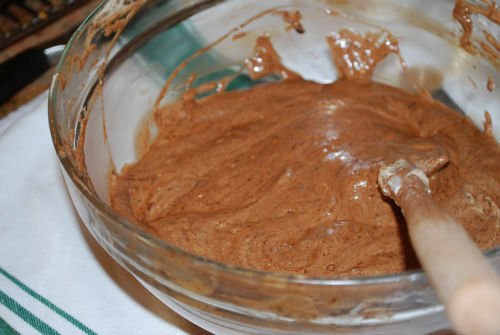 Cover and refrigerate until mousse is set. 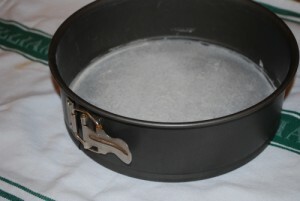 Remove the cake from the springform pan just before serving and garnish with chocolate curls, leaves, or cigars. A little raspberry puree on the plate makes for a pretty presentation.